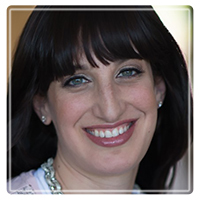 Beachwood, Therapist: Sara Roth - Therapist 44122. Have you tried to solve the problems in your life on your own and realized you need help from someone else? Change is not easy; the outcome can be life-changing. I believe that together we can work to help equip you with the necessary tools to help you face and overcome these challenges. It is important that you know you don't have to be alone in this journey. I have the experience to help you achieve your goals, overcome struggles, and live a more fulfilling and meaningful life. Therapy can be highly effective in assisting individuals through difficult situations, conflicts, relationships, mental health concerns etc. Change is possible. You can achieve your goals. You can make it happen. Taking this step takes courage. Choosing therapy is not weakness; it takes great strength and vulnerability. If you are browsing these pages, you have taken the first step to making positive changes in your life.